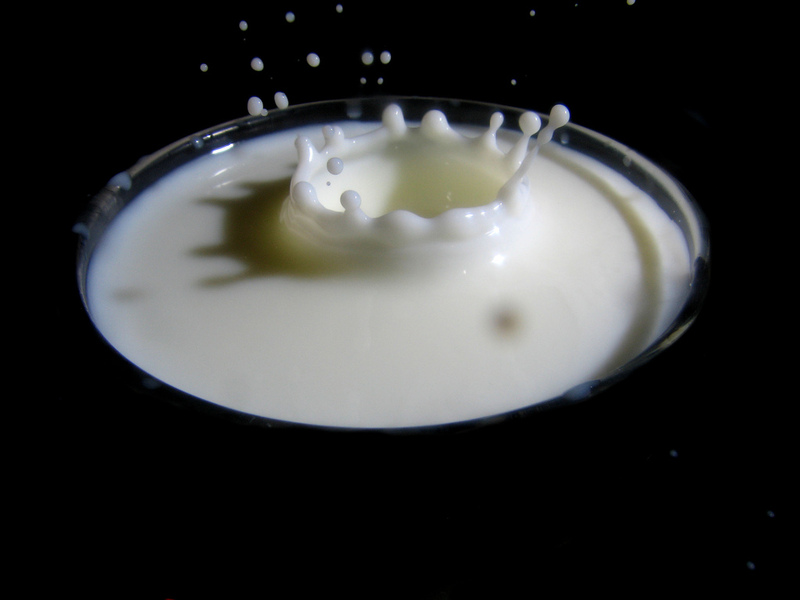 So let’s play out this idea of dairy and milk as a potent symbol of life. The name of one of the rivers in Eden was Hiddekel, which may have been a derivation of the Akkadian word for “Milky Way.” Mother’s milk is our first food and the first food of all mammals. The tradition of eating dairy products on Shavuot seems incongruous, but I think the simplest answer is from our agricultural heritage. This month would be when traditional cultures would begin milking cattle, goats, and sheep for the summer. Jessica Prentice, in her book Full Moon Feast: Food and the Hunger for Connection, points out that this is the time known as the Milk Moon for just this reason. In The Rosh Hodesh Table: Foods at the New Moon by Judith Solomon, it’s pointed out that Chalav, the Hebrew word for cheese, has the numerical value of 40. This is the same length of time that Moses stayed on Mt. Sinai to receive the ten commandments. This is just one of the connections that the rabbis have given us for the tradition of dairy on Shavuot, but the agrarian connections truly make the most sense at the true root. Let’s finish with this thought. Shavuot is the holiday of revelation at Mount Sinai. Each of us is said to have heard directly the voice of G!d/dess speaking to us. In essence you can say that the moment at Sinai, the Torah, the Ten Commandments, and our personal revelation is mother’s milk from the G!d/dess and maybe this is why we should spend a month enjoying milk and dairy. I recently learned how to make butter by shaking heavy cream in a 1-quart glass jar. This could be an easy way to celebrate the dairy aspect in Sivan, in about 45 minutes. Yes, your hands and arms get tired, but the end result is satisfyingly different than store-bought butter.